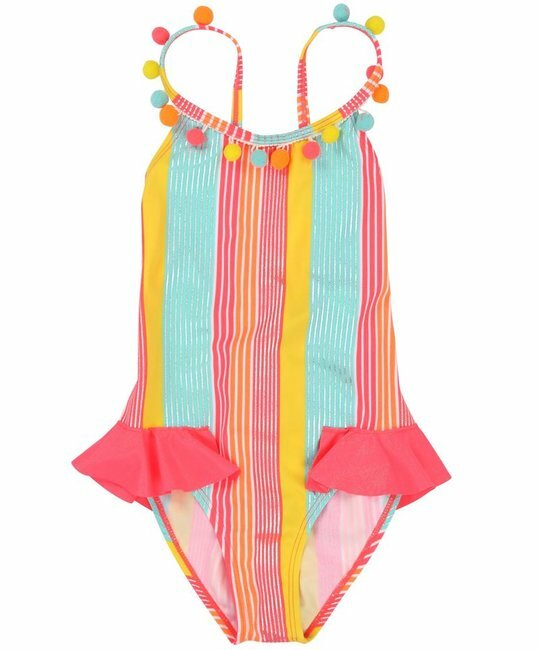 Billieblush multi colour striped one piece swimsuit with pompoms on the front neckline, ruffles on the waist, adjustable back-crossed straps. 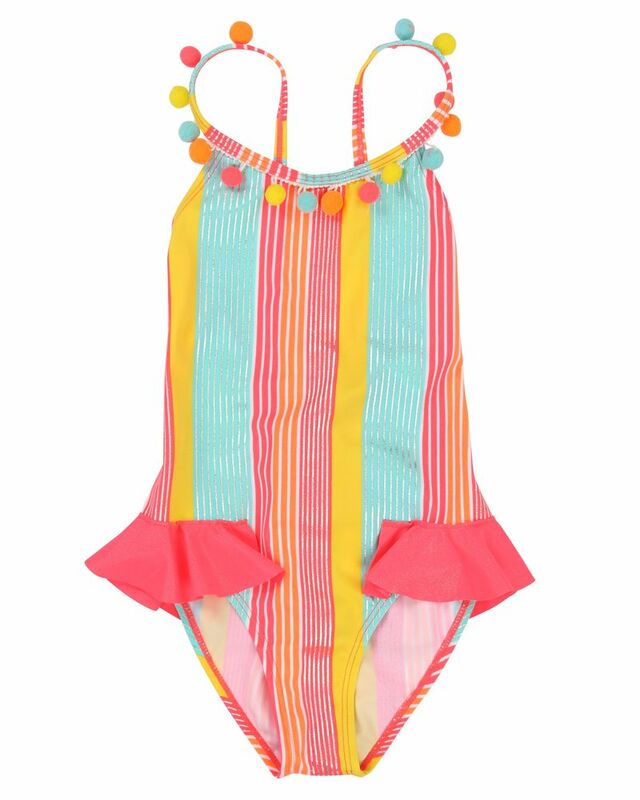 Sold with striped plastic pocket bag. 80% Polyamide, 20% Elastan. Imported.